Stanek manufactures a single vinyl replacement window model, which is their UltraXtreme. The Stanek UltraXtreme window includes several impressive standard features, including a custom-milled sash, the BetterVue fiberglass screen, block and tackle balances, automatic tilt-in sash (on the vertical sliders), low-profile locks, a fully-reinforced sash, and a low-e glass. The UltraXtreme does use a pocket sill, a less costly and less desirable design than a stepped or sloped sill. Homeowners can choose from a number of custom frame colors, hardware finishes and upgraded glass packages. The Stanek UltraXtreme can be ordered with an interior veneer (faux wood) and can choose from walnut, cherry, light oak and medium oak. Their wood veneers are good quality and a nice option for homeowners who want the look of wood, but don't want the hassle of staining and/or painting wood, as well as the added expense. The Stanek website is somewhat unclear though with their interior wood options and makes it sound as if they are selling a real wood window, instead of the wood veneer. The Stanek UltraXtreme windows cost will run in the $35 to $45 per square foot (window only), depending on the options, glass package, upgrades and add ons you select. Good comparisons for the Stanek vinyl window include Milgard Tuscany cost and Reliabilt 3500 windows prices. 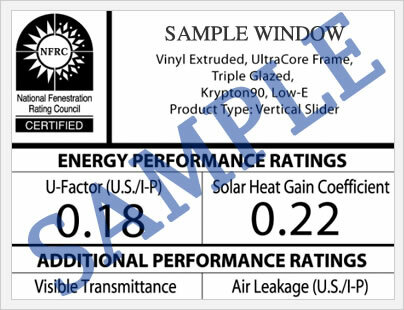 The Stanek UltraXtreme 5000 in the double hung should offer a .29 U-factor, .04 AI, .29 SHGC, and .52 VT. We were impressed by these numbers, a very solid showing for a mid range vinyl window. Of particular note here is the .04 air infiltration, which is an important indicator of how much air gets through the window. This .04 is quite impressive. 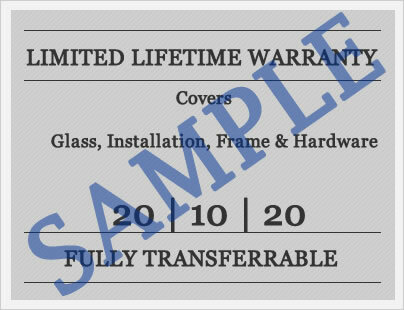 Stanek offers an industry standard lifetime warranty on the vinyl frame and sash. One place where it doesn't measure up is the lack of a transfer provision, meaning that once you sell your home, the warranty will not cover the buyer. Most homeowners don't really care about this, because it does cover them. If you are buying a house however, this is certainly something to keep in mind. In addition, the warranty does not have an accidental glass breakage provision. Consumers who purchased Stanek windows prior to 2013/14 will not be able to get warranty relief because the company assets were purchased by Great Day Improvements. This essentially means that Great Day owns the company and still uses the name Stanek Windows, but is not liable for any warranty claims that happened before 2014. There have been a lot of Stanek windows complaints posted online because of this and the consumer is obviously the one who gets burned here. Do you have Stanek Ultraxtreme windows reviews that might help others who are looking to buy this particular replacement vinyl window? Your opinions and experience can be a great source of information, which can help other consumers who are considering the Ultraxtreme. Have a question on the Stanek Ultra Extreme window for John or Jim, our site editors? Send them your questions - please include your email if you'd like for them to email you back directly. Otherwise, they will post your answer on this page within 10 days of receiving it.